If you visit Vietnam, your will have a great opportunity to revolve around capital city of Hanoi. Combining French cultural influences with Vietnamese cuisine and traditions, Hanoi is a melting pot of incredible sights. The Ho Chi Minh Mausoleum and Ho Chi Minh Museum are great landmarks you should spend times to walk around. They also offers local flavor, including stunning temples, puppet theaters and countless outdoor markets. Here we listed these wonderful day trips in Hanoi. It can be said that Halong Bay is one of the most incredible destinations in all of Vietnam. 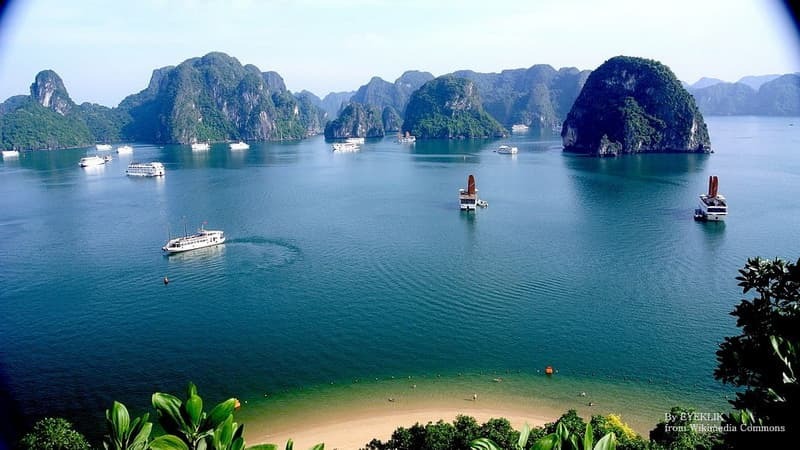 Halong Bay is best for boat tours; from your Hanoi hotel start, you can proceed to Ha Long Bay Marina. After enjoying a delicious seafood lunch on board, visitors can relax on the sun deck or go for a swim in the clear waters. You can enjoy an overnight adventure on the water. On your boat, you will have the opportunity to see more than the magnificent waters of the bay, but also the limestone formations and forested isles that emerge from the sea. Travelling give chances for us to close to the nature. 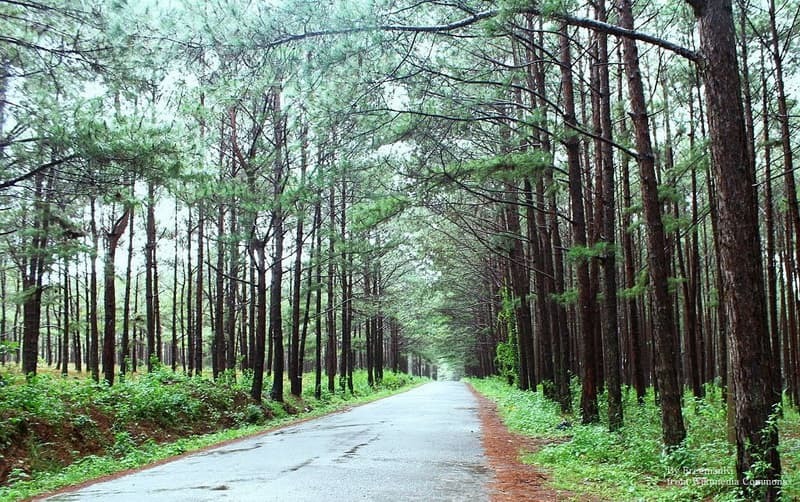 The Ba Vi National Park is on the west of Hanoi with 2-hours-driving. If you love nature really enough, this park will meet you. You can see three peaks which is the focus of the park, and there is a shrine of Mountain Gold from 11th stays in the second highest peak – Tan Vien. When hiking on the mountain with fresh air around, you can see other beautiful scenery in your sights which will make you linger. When you know that it is located on the cliff of the Huong Tich Mountain or on the cliffs of Fragrant Traces, the name Perfume Pagoda starts to make sense. The Perfume Pagoda is not easily to close due to away from about 45 miles southwest of Hanoi. The journey will include bus ride or car, a boat ride and short walks or cable cars. However once you leave, you will be surprised to find that incredible pagodas and temple built right into the sides of the mountain. The Pagoda Leading to Heaven, or Thien Chu, is one of the most famous sites worth exploring during your visit. Hoa Lu, a old capital of Vietnam, is about 60 miles sounth of Hanoi. 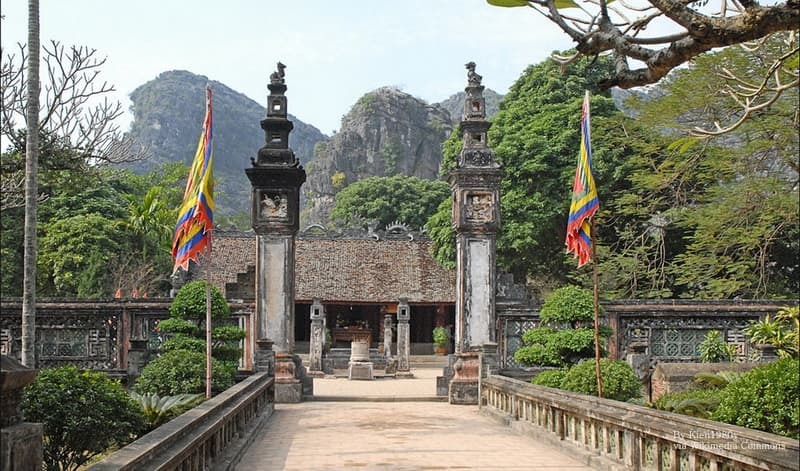 In the period of 10th and 11th centuries, the Hoa Lu was the centre of trade & politics in Vietnam. Until now, Hoa Lu is the major destination of history or the passion of Vietnam Culture as before. Some relic primitive structures and rising buildings exist and appear in Hoa Lu, which for sake of honoring the aboriginal royal families. This area is closed each other among the steep hills, you will get some outstanding photos. For many tourists, they will visit Trang An and Tam Coc at the same time, due to they are close each other will be treated as tour package. You will notice is the first thing is the scenery of Tam Coc. Limestone cliffs insert to rice paddies and in the bright green landscapes, there is river winds through. The region is like a miniature landlocked version of Ha Long Bay. Although Tam Coc is just 90 minutes south of Hanoi, it feels like a space away from the hustle and bustle city. 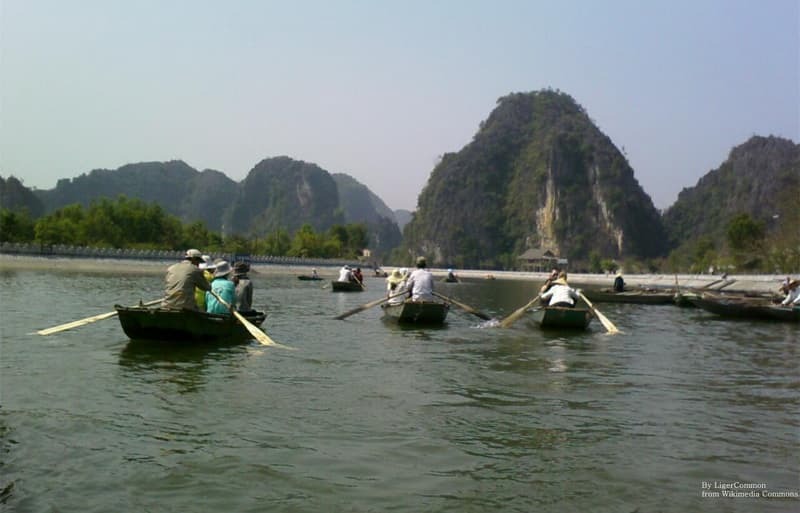 It is a good way to ride a boat to get around Tam Coc, so join a sampan tour for graceful views. Tam Coc is called from its three major caves and you can sail through in a sampan if you are brave enough. The Bat Trang is about 25km outside of Hanoi, on the other side of the Red River. Bat Trang is a small village, where boast a long and impressive sense of history. Dating back to 1,000 years, the ancient village is well-known for the ceramics. 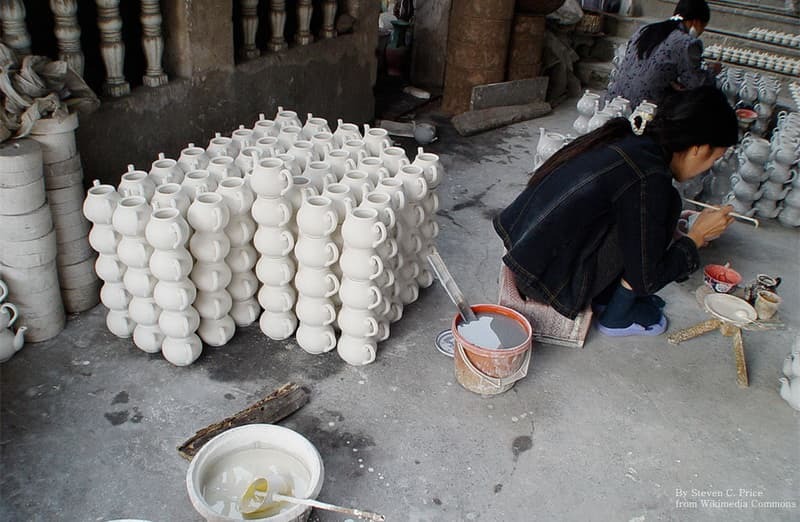 The ceramic industry in Bat Trang has always been tough, and the village supplied pottery to the Ming Dynasty in the past, even exported goods during the French colonial period. On the Southwest of Hanoi, a magic place with many mountains surrounded will stand in front of you, there are mountains reaching the sky and the large of green scopes. There are large scale of green rice fields and verdant mountains here, they are sure to be visited as a charming attraction. In addition, Mai Chau also deserves a see thanks to it is the seven ethnic minorities' home. There are many stilt houses that made of bamboo in Mai Chau, and you can see cows or chickens avoiding the rain under houses. You can ride a bike or trek through the remote villages. You'll even have a chance to find some rare and exotic wildlife. The Duong Lam Ancient Village is absolutely a destination address for nowadays people who contact the electronics all days, because it is a silent and peaceful location. You will find that the Duong Lam Ancient Village is like an alive museum showing the traditional life style – there are communities, temples for King in the Village and centuries-old societies; they are pleases to display their life style. For the Duong Lam is near to the Ba Vi park, most tourists are like visiting them at the same time. The village is surrounded by ponds, which creates magnificent sites. Especially in hot days, you can feel comfortable and the sense likes air conditioning thanks to the ponds. The Phat Diem Cathedral is situated in the Ninh Binh Province of Vietnam. It was constructed by the priest Father Tran Luc in 1892, mixing the architectural style of Vietnam and European, also called “eclectic architectural style”. There is a lake here where tourist will attracted easily. There are numerous carved reliefs in the church, particularly the bamboo, chrysanthemums, fir trees and apricot trees that symbolize four seasons. 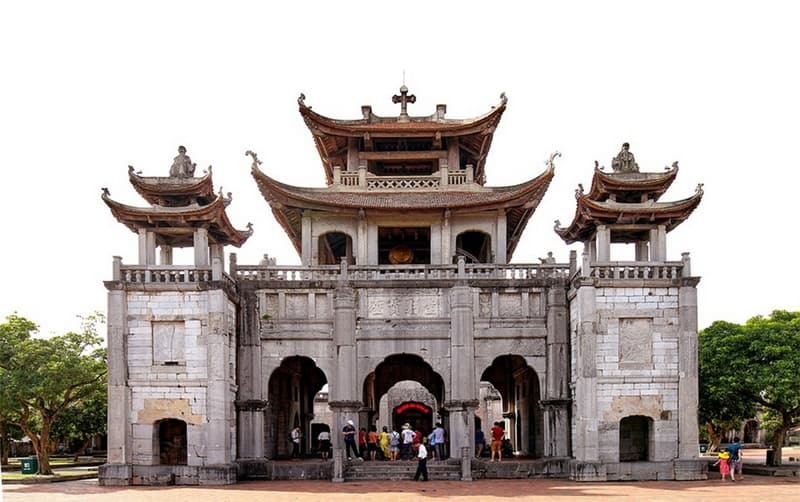 The Thay temple was built in the 11th century by Nhân Tông of the Lý dynasty is one of the oldest in Vietnam. 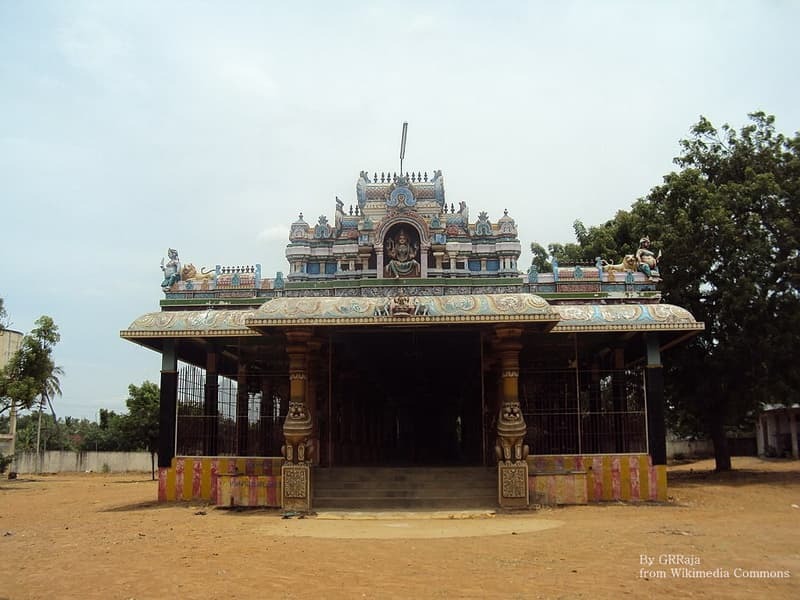 It's still the home of monks who maintain the temples and regularly holds water puppet shows during festivals. 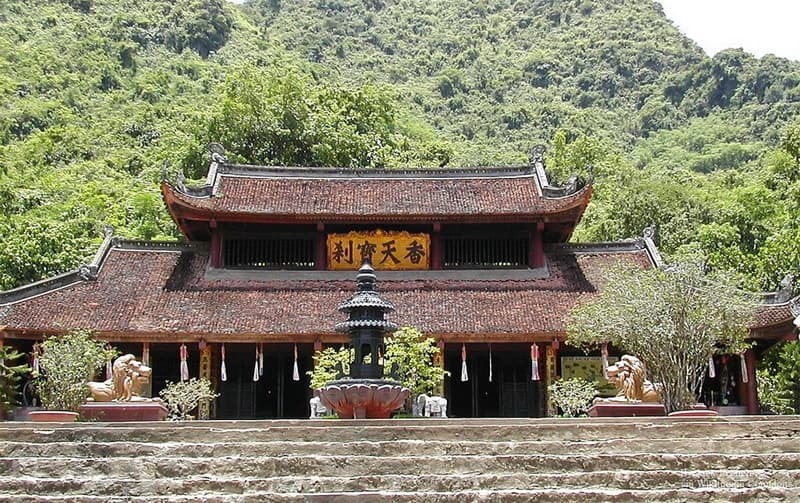 The temple itself has some of the best examples in Vietnamese Buddhist architecture. The temple is only 30kms from Hanoi; therefore it suits for day-trip.